Wanting you to always be moving in the perfect direction for you, Angel Number 1888 shares that you are doing great things. You are heading in the right direction and you are relying perfectly on your angels, so remember that you are doing great work and make sure that you focus on the fact you are going to bring all sorts of great things into your life. Angel Number 1 wants you to rely on positive thought some more and ask yourself how you want your life to turn out: then focus on that and allow it to come into fruition, as it is meant to be. Angel Number 8, repeating three times in this number, wants you to remember your own worth. You are an incredible person that has all sorts of great qualities that are sure to be of use in the world. So go on out there and take on the world and all of its scary parts. You can do it. Angel Number 18 wants you to remember that trusting your angels is something to focus on even if you are feeling unsure of something. It can be difficult to trust blindly, but your angels want you to do it so that you can experience a great life that is full of everything that you want most. Angel Number 88 wants you to know that due to your hard work in the past, all sorts of things are coming your way. You deserve all of them, so make sure you enjoy it. Angel Number 188 wants you to know that you are doing a great job and are succeeding at all you do. Keep up the great work and remember your worth both to your guardian angels as well as to the rest of the world. 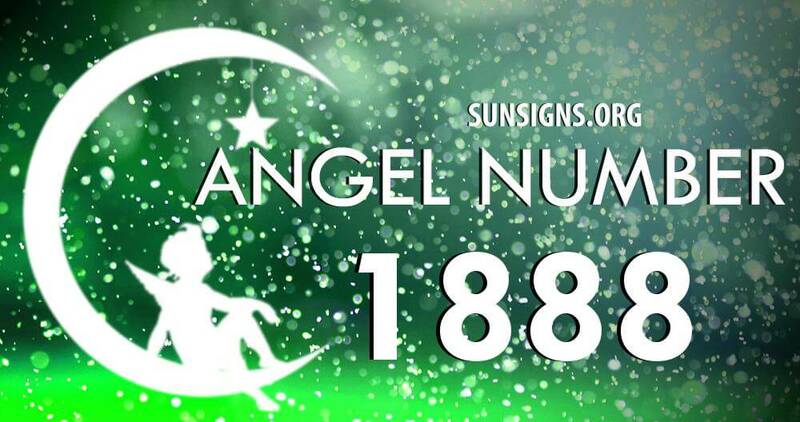 Angel Number 888 wants you to know that your soul purpose is right there in front of you and your angels are in full support of it. Go ahead and embrace it fully so that you can find success waiting for you around the corner. You have to remember, too, that no matter what happens, your angels will always support you and remind you of how incredible you are if you are in need of a boost here and there.